These cast pewter tankards are offered at a very competitive price for such a high quality product. Made in Britain, they carry the maker's touch mark (similar to the hallmark used for sterling silver) on the body. 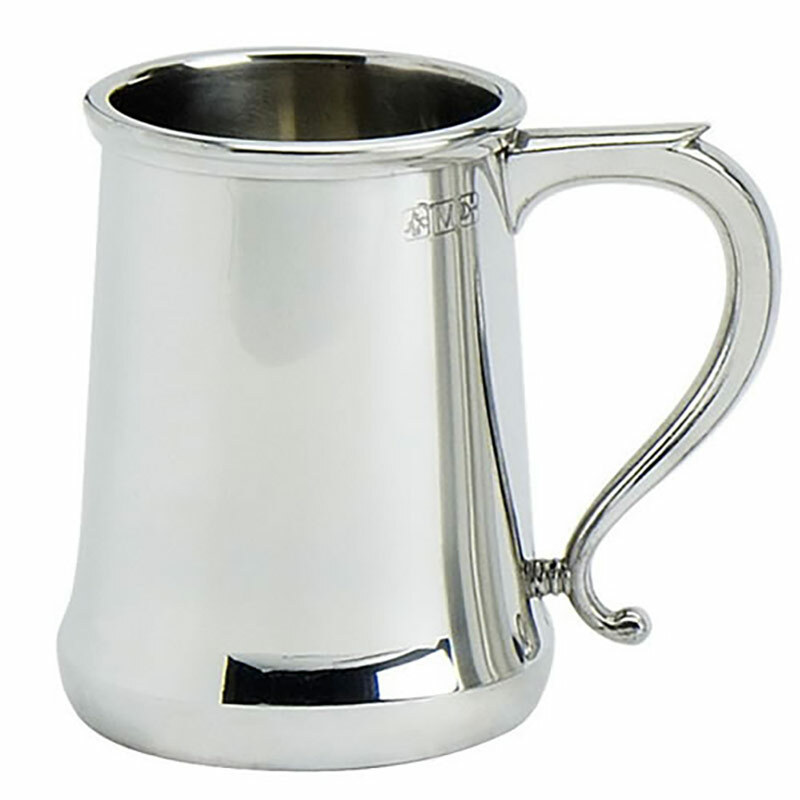 These classically-styled tankards have a highly polished finish and are supplied with a blue presentation box. They are ideal to engrave and are offered here with free engraving of text and logos. Perfect as corporate gifts or branded merchandise, these cast pewter tankards are also offered with bulk order discounts (see price matrix, above) and low fixed price UK delivery.